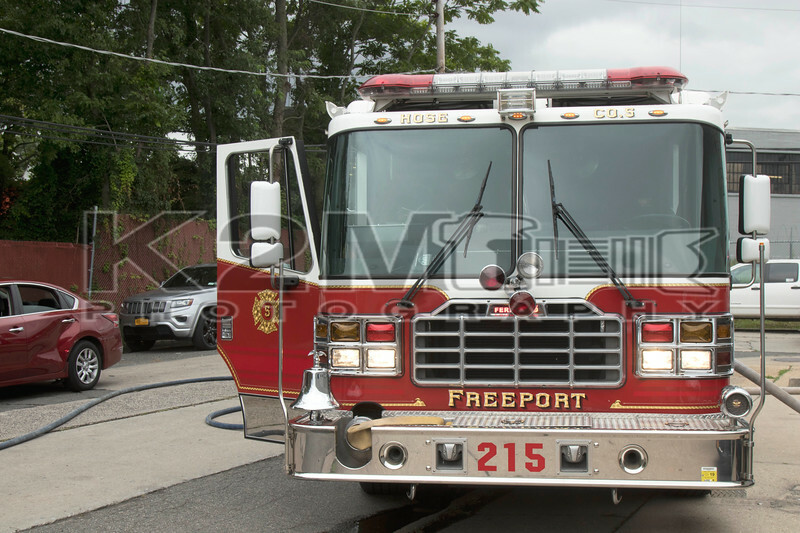 At 14:19 hours on the afternoon of Monday, August 20th, 2018 the Freeport Fire Department was dispatched to a reported car fire at the corner of Lee Place and Gold Street. When firefighters arrived on scene they were met with a confirmed car fire on Lee Place. Hose 5  stretched and put one hand line into operation to put out the fire. Hose One  and Engine 216 were also on scene. Click here to see the rest of the images from K2M Photography’s gallery, Lee Place [8-20-18].